The UPS Store can print that! Need to print business cards, stationery or letterhead? The UPS Store can help. Business cards and stationery are an essential part of your professional identity. Bring your ideas and we can help you create custom business cards in full colour, with glossy or matte paper stock, single-sided or double-sided cards. We even offer fold-over business cards if you’re looking for something different. 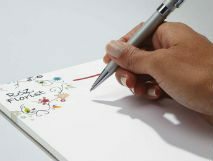 Need company letterhead, envelopes and notepads to go with those business cards? The UPS Store helps you get creative with your own unique designs and layouts, multiple paper sizes and stocks. 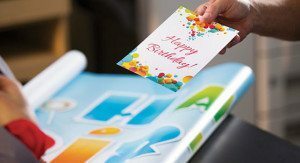 Whether for personal use or to promote your business, our printing services are here to help. Visit The UPS Store in your neighbourhood to get started today! Or, enjoy the convenience of ordering and printing your business cards and stationery items online with The UPS Store Online Printing. Choose from our pre-created business card templates or create your own using your company logo, photography or graphics by uploading an image. Most The UPS Store locations offer online printing. Simply contact your nearest store to find out which business card, letterhead and stationery printing services are available.